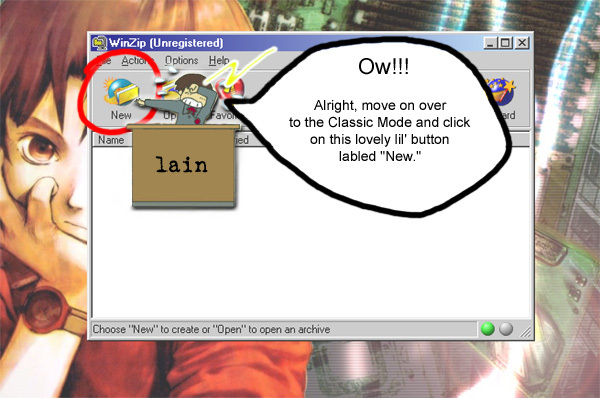 *Interpretation* - When you first start WinZip, you'll be taken to either Classic or Wizard mode. You want to go into Classic mode, so click on the appropriate button which takes you there. Once in Classic mode, you should see a button on the toolbar labeled "New." Click on that, and proceed to the next step.